The trademark of Headlands Beach State Park is its mile-long natural sand beach, the largest in the state. In addition to its popularity during the summer season with picnickers and swimmers, the area is home to many plant species typically found only along the Atlantic Coast. 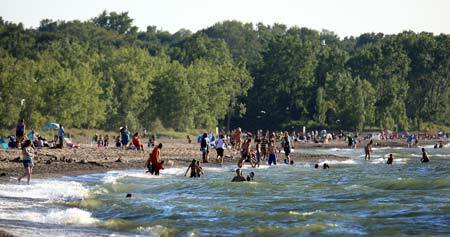 In 1951-52, the state of Ohio began acquiring land west of Fairport to create a state park. 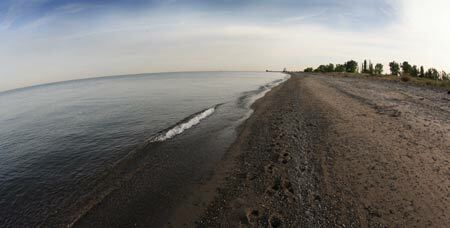 Originally opened in 1953 as Painesville Beach State Park, the name was changed to Headlands Beach two years later. Its large beach has attracted huge crowds consistently since the opening. In 1957, the beach was closed when Lake Erie's waves and the undertow created safety problems. For a while, the public enjoyed swimming in the creek until the area was filled in. Capital improvement projects started in 1967 created numerous parking lots, concession buildings, restrooms, change booths and a treatment plant. Headlands Beach State Park remains very popular with swimmers and sunbathers. Extensive development along the shores of Lake Erie has all but totally eliminated the presence of sandy beaches and dunes at the western mouths of river bays and inlets from Sandusky Bay to Dunkirk, New York. Headlands Dunes State Nature Preserve remains today as one of the last of its kind in the entire state. This community is much more than merely an accumulation of sand along a shoreline. It is a living assemblage of fascinating and highly specialized plants and animals occurring in an environment too hostile for most other organisms to survive. Bordering the southside of the park is Mentor Marsh State Nature Preserve, a National Natural Landmark. 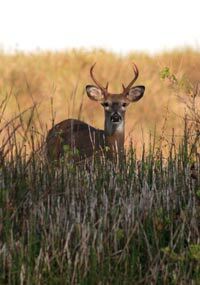 The 644-acre, marsh-swamp forest is jointly owned and managed by the Ohio Department of Natural Resources, Division of Natural Areas and Preserves and the Cleveland Museum of Natural History. Open during daylight hours only, the preserve is home to varied plant and animal life. A five-mile hiking trail, the Zimmerman trail, provides access to the area. Headlands Dunes State Nature Preserve, located at the east end of the park, is one of the last and finest remaining examples of Lake Erie beach and dune communities in Ohio. Many plant species not found in northeastern Ohio grow abundantly along the dunes, including sand-dropseed, Canada wild-rye, wafer-ash and wild bean. The preserve is open to the public during daylight hours. Switchgrass and beach grass have an adaptation shared by many dune plants, such as cottonwood, red osier, Canada wild-rye and sandbar willow. Coincidental with the accumulation of sand around its crown, switchgrass or beach grass continues to grow upward through the sand. Eventually it will grow several feet above the original locality of germination or initial rhizome establishment. The lighthouse seen at the far east side of the park is the U.S. Coast Guard Station still in operation.